Here are some Tips from Tex A Clean Carpet Care to help keep your carpets and upholstery fabrics in the best condition. 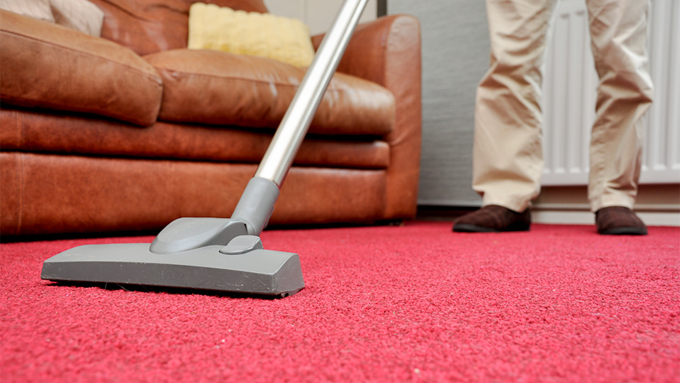 Carpets should be vacuumed once a week – and more often in areas of heavy traffic. This will prolong the life of your carpet and keeps dirt from building up and wearing down carpet fibers. Most people do not take enough time vacuuming. Go over each section of carpeting several times and work slowly to get the ground in dirt and dust removed. When is it time to have your carpets cleaned? Most should be done at least once a year. However, if the carpet is matted and feels sticky; the color is not the same as when it was new; or you can see dust rising when running across the room, it’s time to do a through cleaning. If you cannot do it really well yourself, have it professionally cleaned. Commercial carpet areas with high traffic should be cleaned more frequently. First, pretest the cleaning agent in a small out-of-the way area to make sure the agent will not damage the carpet or the dyes. Many spots require more than one cleaning agent and method. You can first try a light detergent cleaning solution. Apply the solution to a white cotton cloth, and then gently work in the cleaning agent from the edges of the spot to the center. Continue until there is no longer transfer of the spot to the cleaning cloth, and then continue on to the next step. Next try an ammonia solution. Next try a vinegar solution. Blot with lukewarm tap water and absorb the water with a dry cloth. Air dry or with heater. When completely dry, brush or vacuum to restore to body and carpet texture. Due to the wide variety of spotting agents and the fibers they are used on we can assume no responsibility for any damage occurring. Always proceed with caution and only after pre-testing each cleaning agent. You can always contact our office with questions. Spot-clean this kind of fabric with a solvent. Rinse the upholstery by gently rubbing the fabric with a moist, clean cloth; rinse the cloth as necessary. With difficult stains and expensive fabrics, it is recommended that you have a professional do the cleaning. Tex A Clean Carpet Care wants to work with you to take steps that will maintain the carpet and fabrics in your home in excellent condition throughout the year and for years to come.